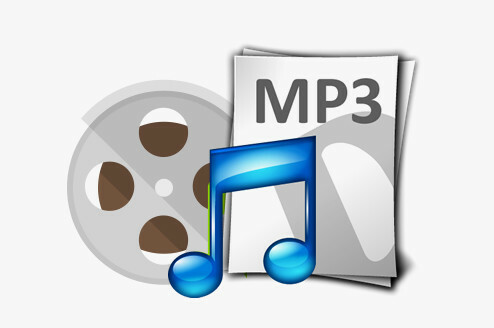 There are many tutorials online about how to extract audio from video, and the most common and useful method is to convert video to MP3 audio format. Therefore, a good video to audio converter is necessary. Actually, if you have installed VLC media player on your computer, you can use it for the conversion. Keep reading and convert VLC to MP3 in a few simple steps! 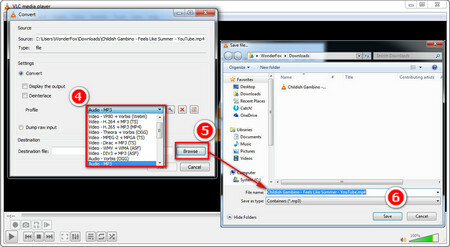 WonderFox HD Video Converter Factory Pro is a special converter that supports over 300 video & audio format conversions. So you can use it to convert video files to MP3, WAV, FLAC, OGG, AC3, etc. It offers the optimized presets, fully supports hardware acceleration to achieve 50 faster conversion speed and promises original audio quality. Step 2. Click on “Media” on the menu bar, and select “Convert/Save”. Or press Cltrl+R. Step 3. 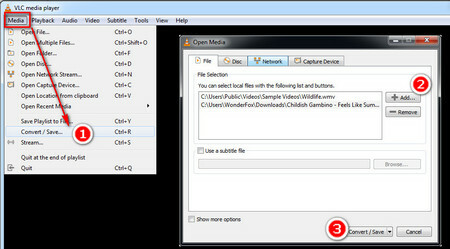 In the Open Media window, press “+Add” button and import the videos you want to convert to MP3. Here I convert VLC MP4 to MP3. Next press “Convert/Save”. Step 4. Choose “Audio-MP3” in “Profile” drop-list in the Convert window. Then click on “Browser” to specify the output path, rename output file and “Save” it. Tips. Besides making VLC convert to MP3, you can also choose bit rate, number of channels, sample rate in Profle Edition window. Just click on the setting icon next the drop-list. Step 5. Finally, click on “Start” to convert VLC to MP3. After the conversion is completed, you can find the MP3 audio in the output folder. 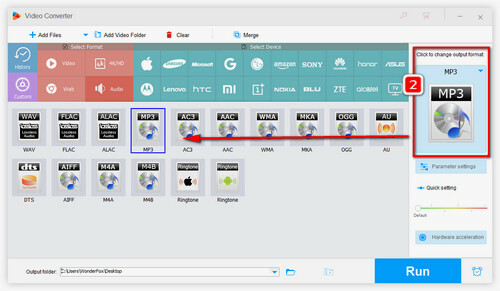 Open WonderFox HD Video Converter Factory Pro. 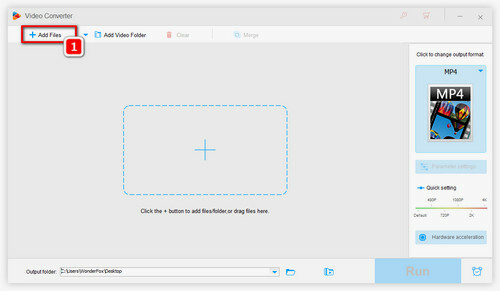 Like you convert VLC to MP3, first click on “Add Files” to import the videos from your computer or directly drag them into the window. If you want to convert online videos, like YouTube playlist to MP3, click on “Download Video”, copy and paste the video or playlist URL, analyze the URL and download it. 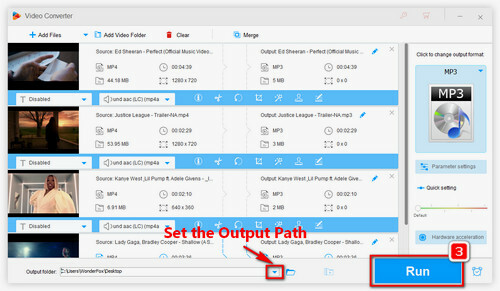 Press “Output Format” on the right and you will see the output format list. Choose MP3 under Audio tab. You can not only convert video to MP3, but also convert video to WAV, video to WMA, video to FLAC, etc. Tips. WonderFox HD Video Converter Factory Pro enables you to change MP3 bit rate, normalize audio, adjust sample rate and choose desired channels. For these purposes, you need to press the Settings button below the Output Format button. Moreover, you’re able to merge audio and compress audio with this software. Specify the output format via the folder icon in the bottom. Now click on “Run” to start converting videos to audio. After the conversion is completed, it will prompt you to open the output folder. With the support for GPU acceleration and multi-core CPU, the whole process can be finished in an instant. Hope you get the gist of VLC convert to MP3 and its alternative solution. If this article does help you, please share it with more friends！If you still have questions on how to convert VLC to MP3, you’re welcome to contact us. 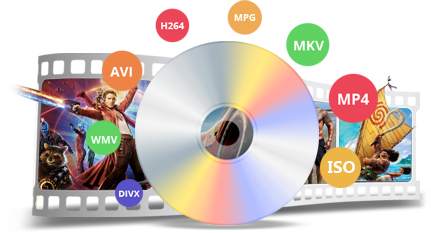 The software combines video download, conversion as well as editing into one, and offers the advanced features including video & audio compression, video quality enhancement like SD to HD, HD to 4K, etc. The software is designed to copy DVDs to videos & audio, ISO image and DVD folder. So you can convert DVD to MP3, WAV, FLAC, AC3, OGG, etc. It can remove kinds of copy protections and copy DVDs in fast and easy way.